Florida’s coastline extends 1,350 miles along the Atlantic Ocean and the Gulf of Mexico, the longest stretch of coastline of any state within the contiguous United States, making it a top resort area for vacationers looking for relaxing beachfront getaways. The central Orlando region offers access to some of the nation’s top theme parks, while the southern Miami area is noted for its vibrant arts and entertainment scene. Barrier islands provide tropical respites from metropolitan life. These all-inclusive resorts throughout the state offer luxury accommodations for families, couples, and business travelers, featuring award-winning restaurants, glamorous spa centers, and top-rated golf courses. The Breakers Palm Beach is one of Palm Beach’s oldest and most iconic resorts, originally opened in 1896 by noted industrialist Henry M. Flagler and named for its proximity to the Atlantic Ocean’s crashing shorefront waves. 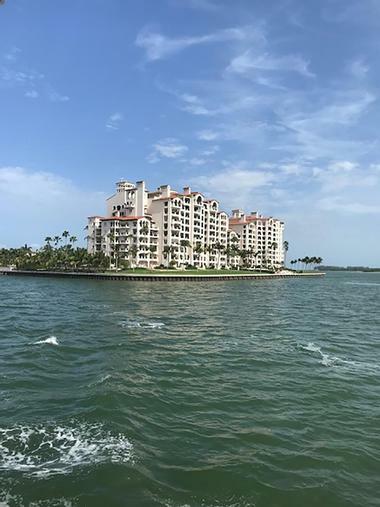 The palatial 140-acre resort is world-renowned for its Renaissance-style architecture and unparalleled amenities, which are maintained with annual $30 million property updates. 538 premium guest rooms and suites furnished with top technological amenities are offered, including exclusive rooms within the resort’s new Flagler Club boutique hotel. Dining options include the old-world cocktail bar HMF, the classic Flagler Steakhouse, and the pan-Asian-style Echo. Guest entertainment is provided at four oceanfront swimming pools, a luxury spa and fitness center, a family entertainment center, and the Ocean Course and Breakers Rees Jones 18-hole championship golf courses. South Seas Island Resort is located on the grounds of a former key lime plantation and is surrounded by a 330-acre wildlife preserve, immersing visitors in the natural beauty of Captiva Island and providing convenient access to nearby Fort Myers. 471 guest rooms and suites are available at the resort’s Harbourside Hotel, while private condos, villas, and rental cottages are offered at Land’s End Village. Three lagoon pools feature private cabanas, two water slides, and miles of sugar sand beachfront, and a luxury spa offers a full treatment menu. Group water sports programs are available, including kayaking and boating tours, and a Sanibel Sea School immerses young visitors in nature-related activities. Onsite restaurants include the Harbourside Bar and Grill, the casual-fare Scoops and Slices, and the gourmet Captiva Provision Company deli. 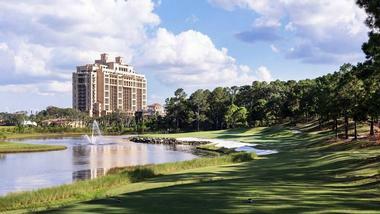 Commuter access to resort areas is provided by a trolley system and golf cart rentals. The Moorings Village is an 18-acre luxury resort located half way between Miami and Key West on a former coconut plantation in romantic Islamorada. The 18 cottages and homes that make the Moorings Village are snuggled among 800 stately coconut palms. Cozy and romantic, the accommodations are equipped with a full range of modern amenities such as Wi-Fi, flat screen TVs, DVD players and iPod docking stations. The cottages have one to three bedrooms that are beautifully decorated and have fully equipped kitchens and furnished porches. The guests enjoy a swimming pool, a spa, a fitness center, a tennis court, and the use of kayaks, bikes, and paddleboards. There are hammocks and teak loungers throughout the resort garden. Streamsong is a world-renowned golf and spa resort in Bowling Green, offering three unique and acclaimed Scottish-links-style courses designed by golf architecture legends Tom Doak, Bill Coore, Gil Hanse, and Ben Crenshaw. Courses include the par-73 championship Streamsong Black course, which offers beautiful panoramic views and a private putting green, and Streamsong Blue, which focuses on undulating contours and elevation rises and falls throughout its layout. The 18-hole Streamsong Red course also spans Bermuda grass fairways, sand dunes, and natural bunker formations. 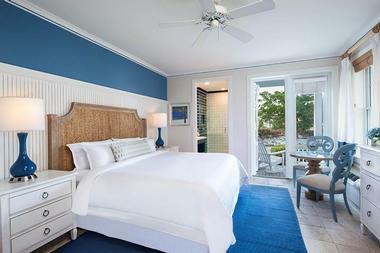 Beautiful guest rooms and suites, a golf pro shop, and the seafood-focused Restaurant Fifty-Nine are also available. The Clubhouse at Streamsong offers one of Central Florida's best wine lists. Amara Cay Resort was the 2015 recipient of the Sandi Design Award by the International Interior Design Association, recognizing its emphasis on luxury within the laid-back, tranquil atmosphere of Islamorada and the Upper Keys. King and queen bed rooms and suites integrate natural design elements such as rattan and feature private balconies, climate controls, and adjoining doors upon request. Classic American cuisine is served at the Reelburger restaurant, including made-to-order hamburgers and milkshakes, while signature prickly pear mojitos are served at the Sparrows Rum Bar. An outdoor pool, a fitness center, and a private beach are offered for guests, and a resort fee upgrades to premium amenities such as free wireless internet, laundry facilities, and shuttle service to area attractions. Eau Palm Beach Resort & Spa is one of only two Forbes five-star resorts in Palm Beach, located on seven acres of private beachfront within the charming enclave of Manalapan. 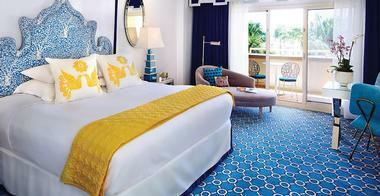 309 sunny guest rooms and suites feature design elements by Jonathan Adler, highlighting colorful sand, sun, and sea accents and offering amenities such as private balconies and minibars. Four restaurants include the modern American farm-to-table restaurant Angle, the chic Mediterranean-Floridian restaurant Temple Orange, the trendy Breeze Orange Kitchen bar, and the Stir Bar and Terrace. 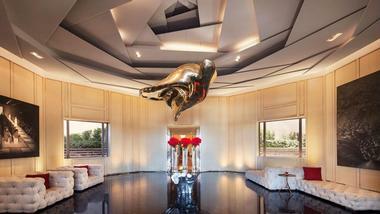 A 42,000-square-foot spa offers luxury treatments, and unique touches such as a champagne check-in make for a truly memorable guest experience. Four Seasons Resort Orlando at Walt Disney World is Central Florida’s only AAA five-diamond resort, offering top amenities from one of the world’s leading luxury hotel brands. The hotel is located within the Walt Disney World resort and provides guests with access to special Disney perks such as FastPass+ ride reservations and Extra Magic Hours extended theme park time. 443 guest rooms and suites borrow design elements from Spanish Revival architecture and showcase views of the resort’s Tranquilo Golf Club, designed by renowned architect Tom Fazio. Restaurants include the Spanish-influenced Sky-High Steakhouse and the Mediterranean-style Ravello, which presents biweekly Disney character breakfasts with Goofy and His Pals. Other resort amenities include a five-acre water park, and adults-only pool, and views of the Magic Kingdom’s nightly fireworks show. 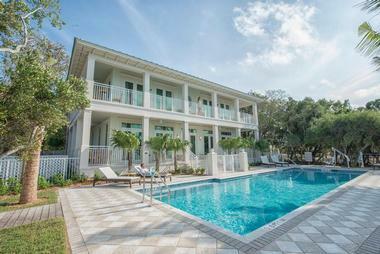 Ginn Hammock Beach Resort located near the historic St. Augustine, the United States’ oldest city, along a two-mile stretch of pristine undeveloped beachfront. 330 luxury guest rooms offer ocean views and feature amenities such as refrigerators, microwaves, and free wireless internet, with upgrades available to family rooms, suites, and multi-bedroom condos. A number of onsite restaurants serve local and international fare, including the shore-to-table Atlantic Grille, the Italian-style Delfino’s, the gastropub Loggerheads, and a gourmet coffee bar serving Rainforest Alliance-certified teas and coffees. A multi-level water park features an adults-only pool, a three-story water slide, and a lazy river attraction, while a golf course provides 36 holes designed by golf legends Jack Nicklaus and Tom Watson. A fitness center, event ballrooms and lawns, and children’s activity services are also provided. JW Marriott Marco Island Beach Resort is renowned for its expansive white sand beach, located just off the Southwestern Florida coast near the city of Naples. The 664-room resort features newly-remodeled guest rooms and suites with design elements honoring the island’s Balinese heritage, offering amenities such as ocean views and private balconies. The resort is known for its family-friendly waterfront fun, including three swimming pools with children’s areas and arranged guest water sports and recreational activities. Onsite restaurants include the gourmet global steakhouse Ario, the American-style buffet Maia, the casual oceanfront Quinn’s on the Beach, and the Italian-American bistro 400 Pazzi’s. A kids’ Tiki Tribe Camp and two 18-hole championship golf courses are also offered. Little Palm Island Resort & Spa has been voted as one of the top 100 hotels in the world by Travel and Leisure magazine and has been the Florida resort of choice for international political and entertainment luminaries for decades. 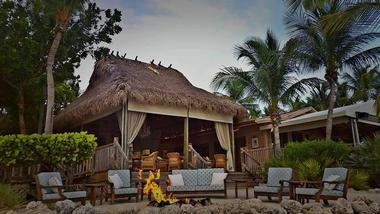 The adults-only resort is located on a remote island near the National Key Deer Refuge that is only accessible via seaplane or boat, featuring thatched-roof bungalow suites with custom-designed plush beds and outdoor showers. Technological amenities are slim, emphasizing the island’s natural beauty and encouraging guest communication. The hotel’s elegant Dining Room serves gourmet fare, and in-room dining options are available for private dining experiences. A spa, fitness center, and library are available for guest use, along with an outdoor pool and expansive private beachfront. 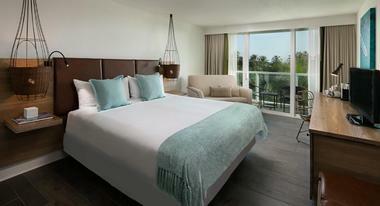 Ocean Key Resort and Spa is located along prestigious Duval Street adjacent to Old Town Key West’s Mallory Square, overlooking the expansive Gulf of Mexico. As Key West’s top resort, the hotel has been a hot spot for decades for regional and international artists, authors, and creatives. Opulent island-themed rooms offer gulf views, private balconies, and marble bathrooms with whirlpool tubs, and upgraded suites provide additional living space. The resort is home to the iconic Sunset Pier, which offers dining options such as the Hot Tin Roof restaurant, the LIQUID pool bar, and a variety of nightly entertainment and dancing options. 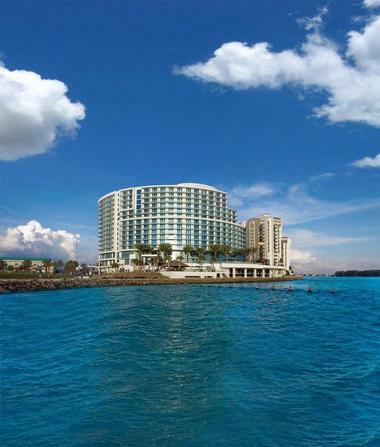 Opal Sands Resort is one of the Gulf Coast’s newest resorts, located along Clearwater Beach’s bustling oceanfront promenade. 230 guest rooms and suites feature floor-to-ceiling windows, private balconies, and custom-commissioned decor elements and artwork by master artist Christopher Stills. The hotel’s restaurant offerings include Italian-inspired seafood restaurant Sea-Guini, which features an adjacent indoor-outdoor bar and lounge, and the beachfront tiki bar Sandbar, which serves fresh Florida cuisine and custom cocktails. A modern spa provides signature services, and a gulf-front zero-entry pool is serviced by the Reflections Pool Bar. Other amenities include a fitness center, dry cleaning services, and a business center. 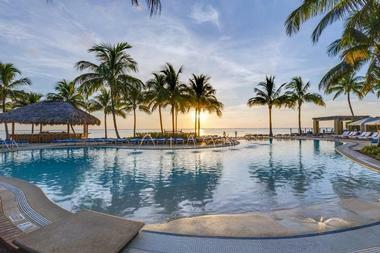 Playa Largo Resort & Spa is operated by Marriott’s Autograph Collection and serves as a luxurious oasis within the breathtaking Key Largo region. 177 spacious guest rooms and suites provide spectacular ocean views, while bungalows and beach houses within the resort’s Hammocks area offer additional privacy within a lush park-like setting. Bohemian dockside dining is offered at SOL By The Sea, while locally-sourced and organic fare is emphasized at La Marea: The Tide. Several beachfront bars complement the resort’s pools and beachfront areas, while an Ocean Spa offers a body bar and high-end treatments. 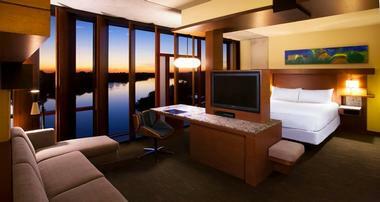 A children’s club, fitness center, and waterfront sports activities are also available. Sunset Key Cottages are located on a private 27-acre island near the Florida Keys, offering 40 private one, two, and three bedroom Victorian-style Key West cottages with wraparound verandas. The resort is lushly landscaped with bougainvillea and other tropical plants to create a sprawling island oasis environment surrounded by pristine white sand beaches. A 24-hour launch service provides direct access to Key West’s exciting attractions, including the vibrant Duval Street region and the Ernest Hemingway House and Museum. The resort’s Latitudes Restaurant has been voted as the top restaurant in Key West by OpenTable, serving island cuisine crafted with locally-sourced ingredients. 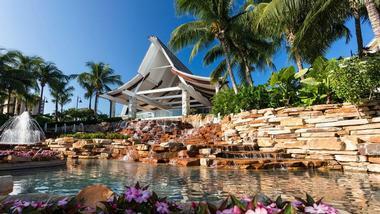 A tropical saltwater pool also offers the Flippers Pool Bar, and a luxury spa provides personalized treatments. Provident Luxury Suites Fisher Island was once the private estate of William K. Vanderbilt, which has been converted today into a Caribbean-esque resort enclave located near the coast of Miami Beach. 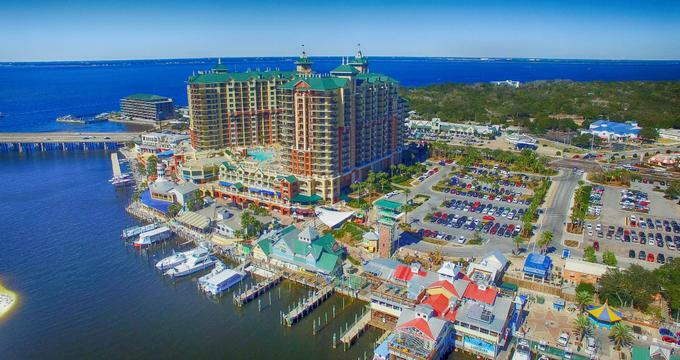 The 216-acre resort is accessible via auto ferry or yacht and provides a tranquil Atlantic Ocean respite with top onsite entertainment and dining options. One, two, and three bedroom suites offer stunning views of the Miami skyline from private balconies and feature separate living and dining room spaces. High-class decor highlights granite countertops, marble bathrooms, and premium bedding. Six fine and casual dining restaurants are located throughout the resort complex, along with a marina, 18 tennis courts, a nine-hole golf course, and a spa and fitness center. Sandpearl Resort stretches across a 700-foot expanse of the world-renowned Clearwater Beach, which offers pristine white sands overlooking the beautiful Gulf of Mexico. The resort provides guests with a casually elegant experience emphasizing old Floridian hospitality, featuring 253 guest rooms providing views of nearby Mandalay Bay. 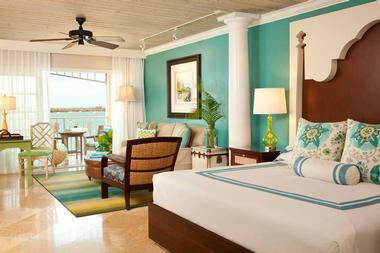 Premium and family suites add full kitchenettes, sitting and dining rooms, and furnished balconies. Onsite restaurants include Caretta on the Gulf, the region’s only four-diamond restaurant, and the casual cocktail bar Tate Island Grill. A private beach club and zero-entry lagoon pool provide outdoor fun, and a kids’ Camp Ridley keeps young visitors entertained. Other amenities include a Starbucks marketplace, 24-hour room service, and a spa and fitness center. The Resort at Longboat Key Club is a four-diamond resort spanning 410 acres within a secluded barrier island along the Gulf of Mexico, located near the city of Sarasota. 223 smoke-free guest rooms emphasize Old Florida design aspects and feature premium amenities such as Bose Wave radios and private balconies. 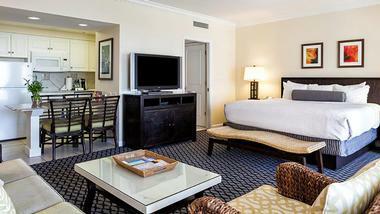 Suite upgrades include full kitchens, laundry facilities, and twice-daily housekeeping services. Six onsite restaurants include the Northern Italian-style Portofino Ristorante and Bar, the open-air Spike ‘n Tees, and the farm-to-table Tavern and Whiskey Bar. A 291-slip marina is provided onsite, accommodating boats up to 150 feet long. Wellness and athletic activities abound, including beachfront yoga, a state-of-the-art Mind and Motion Studio, a year-round children’s club, award-winning tennis gardens, and 45 holes of championship golf. The Ritz-Carlton Orlando, Grande Lakes provides convenient access to Orlando’s top attractions, located less than 10 miles from both the Walt Disney World and Universal Studios theme park resorts. The 500-acre luxury resort is managed by one of the world’s leading hotel brands and highlights a nature-inspired design modeled after Italy’s grand palazzos. 582 guest rooms include a number of club level rooms and executive suites and offer amenities such as personal balconies with garden and lake views. A 40,000-square-foot spa contains 40 individual treatment rooms, and a Greg Norman-designed golf course features 18 holes and a caddie concierge program. 11 restaurants are located throughout the resort’s complex, including fine dining experiences cultivated by James Beard award-winning chefs. The Ritz-Carlton, Amelia Island	is located on a secluded barrier island along Florida’s eastern coast, approximately five miles from Fort Clinch State Park, which offers a wide variety of outdoor activities and historic attractions. 446 guest rooms are offered, showcasing panoramic Atlantic Ocean views from private balconies and providing amenities such as Egyptian linens, flat screen televisions, and iPod docking stations. Club level room and executive suite upgrades are available, along with three individually-designed elite luxury suites. Five restaurants serve a variety of international cuisine options themed around land and sea fare, and a spa offers a lap pool and luxury treatments. 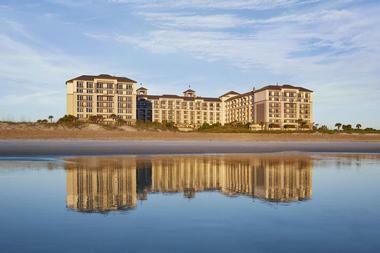 Guest access to the adjacent Golf Club of Amelia Island is also provided with stay. 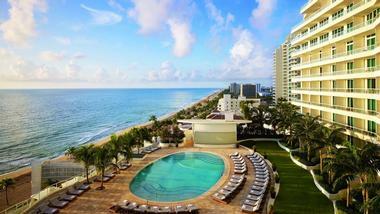 The Ritz-Carlton Fort Lauderdale provides top accommodations along Florida’s Gold Coast, noted as the city’s first five-diamond-rated hotel. The 24-story hotel showcases dramatic glass-walled architecture designed to mimic the splendor of a luxury liner, emphasizing mid-century decor such as a series of murals inspired by the work of artist Jean Cocteau. 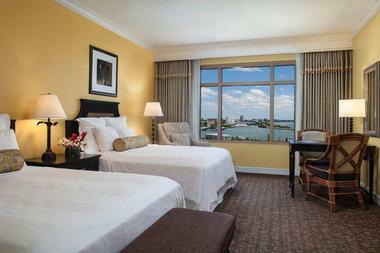 192 guest rooms offer oceanfront and intracoastal views, with upgraded club level rooms and executive suites available. Burlock Coast Seafare and Spirits recreates the atmosphere of the Prohibition era, serving coastally-inspired dishes, and a Poolside Cafe complements the hotel’s tropical sundeck and infinity pool. Other amenities include a 2,200-square-foot club lounge, a conference center, and a spa with an extensive botanical treatment menu. 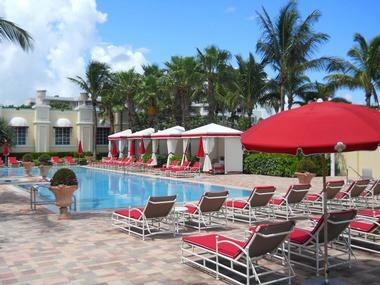 Acqualina Resort and Spa is a partner property of the Leading Hotels of the World alliance, an organization that supports international private luxury hotels. The five-star resort is located along a beautiful stretch of Miami Beach and has received numerous international awards, including a listing on Travel and Leisure’s Top 100 best world resorts ranking. Oceanfront and intracoastal view rooms and suites offer amenities such as hypoallergenic bedding, premium cable television, and separate sitting areas. 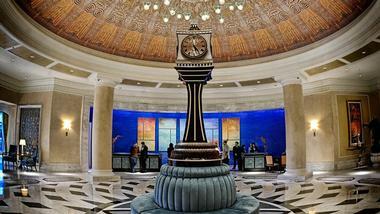 Four restaurants are located on site, including two Il Mulino properties and a Kosher cafe. A 20,000-square-foot spa offers indulgent full-service treatments, while three outdoor pools and a complimentary children’s club provide onsite entertainment for families. The St. Regis Bal Harbour Resort is an exclusive five-star, five-diamond resort located across from the elite Bal Harbour Shops in Miami Beach, less than a three-minute walk from popular Surfside Beach. 216 sophisticated guest rooms offer ocean views from private balconies and contemporary decor designed by top design firm Yabu Pushelberg. Suites upgrade to full stocked kitchenettes and premium living space areas. The Greek-inspired Atlantikós restaurant offers bar and lounge seating, and the family-friendly BH Burger Bar serves made-to-order burger options. A 14,000-square-foot spa offers 11 treatment rooms, along with services such as aromatic steam rooms and Finnish saunas. 11,400 square feet of event space is also offered, along with an onsite fitness center offering cardio, yoga, and Pilates courses. 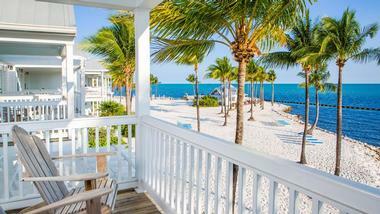 Tranquility Bay Beachfront Hotel and Resort creates a peaceful, secluded retreat atmosphere in the heart of the Florida Keys, offering two and three bedroom resort beach houses for guest rental. Each house highlights an expansive waterfront porch and is furnished with handmade furniture, offering amenities such as full kitchenettes, flat screen televisions, and private laundry areas. Individual tropical garden guest rooms are also offered for hotel stay, featuring in-room spa services for an additional fee. The resort’s award-winning Butterfly Cafe serves seafood-focused dishes, while TJ’s Tiki Bar serves paninis, appetizers, and custom cocktails. Three pool areas highlight children’s and adults-only swimming areas, while 2.5 acres of private beachfront provide chances for water sports such as paddleboarding and kayaking. Waldorf Astoria Orlando is located on a 482-acre natural preserve near the gates of the Walt Disney World resort, offering contemporary amenities from a trusted international brand known for classic luxury. 498 deluxe rooms and suites feature Egyptian linens, Italianate marble vanities, and theme park views, including rooms with mobility and hearing accommodations. The hotel’s award-winning golf club features 18 holes of championship golf, while its luxury spa provides massages and full salon services. More than a dozen restaurants and lounges are offered on site, including the famed New York City restaurant Bull and Bear. 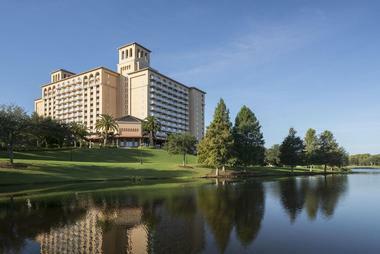 Other amenities include two swimming pools with private cabanas and a free shuttle service to all nearby Disney parks. The Ritz-Carlton, Naples has received both Forbes five-star and AAA four-diamond ratings, offering top luxury amenities alongside the dazzling white sand beaches of the Gulf of Mexico. 450 guest rooms and suites feature minibars, flat screen premium cable televisions, and iPod docking stations, with club level rooms and executive suites available. Three miles of private beachfront are available for guest use, along with two outdoor pools, a 51,000-square-foot luxury spa, and a sauna. Dining options include the casual outdoor Gumbo Limbo, the sushi joint Dusk, the health-conscious H2O+, and the globally-inspired Bites lounge. The hotel’s adjacent golf resort has been ranked as the top golf resort in the state, and a unique children’s environmental program offers opportunities for family entertainment. Ponte Vedra Inn & Club is an AAA five-diamond grand hotel on a 300-acre private beachfront resort within the picturesque town of Ponte Vedra Beach, located approximately 20 miles from the city of Jacksonville. The opulent year-round resort is home to 250 rooms and suites located within 10 low-rise buildings, offering stunning Atlantic Ocean views and amenities such as refrigerators, microwaves, and free wireless internet. 36 holes of championship golf are available on the resort’s property, along with 15 Har-Tru Hydrocourt tennis courts, a state-of-the-art spa and fitness center, and gourmet restaurants such as the Seahorse Grille, which offers a chef’s table behind-the-scenes cooking experience. The resort is a top family destination, offering a children’s beachfront playground, water slides and pool attractions, and daily guided children’s activities.